Irish wanted a distinct name for his franchise that was representative of the city of New York. He called together members of his staff for a meeting to cast their votes in a hat. After tallying the votes, the franchise was named the Knickerbockers. The “Knickerbocker” name comes from the pseudonym used by Washington Irving in his book A History of New York, a name which became applied to the descendants of the original Dutch settlers of what later became New York, and later, by extension, to New Yorkers in general. Harry Junior “The Horse” Gallatin was an American professional basketball player and coach. 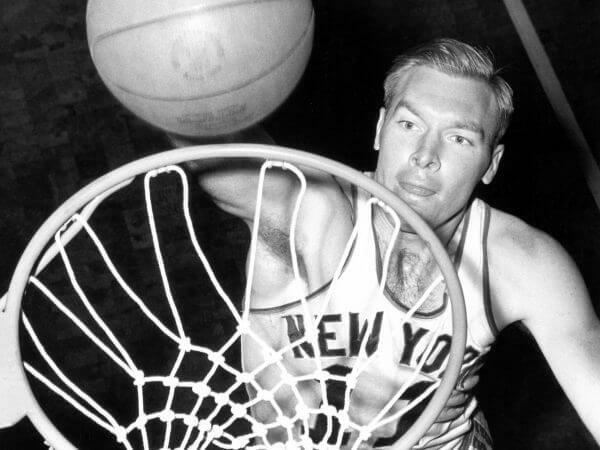 Gallatin played nine seasons for the New York Knicks in the NBA from 1948 to 1957. 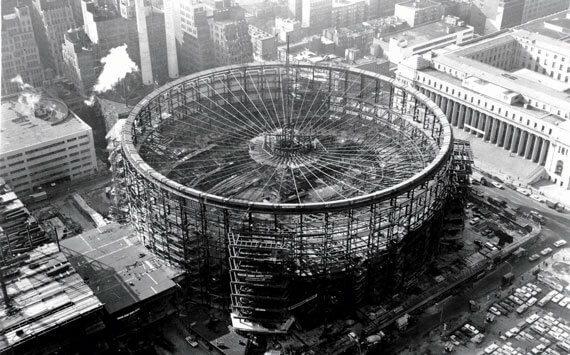 On February 11, 1968, the current Madison Square Garden (sometimes referred to as Madison Square Garden IV) opened after Irving M. Felt, who purchased the air rights from the Pennsylvania Railroad, tore down the above-ground portions of the original Pennsylvania Station. The new structure was one of the first of its kind to be built above the platforms of an active railroad station. It was an engineering feat constructed by Robert E. McKee of El Paso, Texas. Public outcry over the demolition of Pennsylvania Station structure an outstanding example of Beaux-Arts architecture led to the creation of the New York City Landmarks Preservation Commission. The Garden is located in the office and entertainment complex formally addressed as Pennsylvania Plaza and commonly known as Penn Plaza, named for the railroad station. In 1991, Garden owners spent $200 million to renovate facilities and add 89 suites in place of hundreds of upper-tier seats. The project was designed by Ellerbe Becket. Madison Square Garden’s $1 billion second renovation took place mainly over three offseasons. It was set to begin after the 2009 – 2010 hockey/basketball seasons, but was delayed until after the 2010 – 2011 seasons. Renovation was done in phases with the majority of the work done in the summer months to minimize disruptions to the NHL and NBA seasons. While the Rangers and Knicks were not displaced, the Liberty played their home games through the 2013 season at Prudential Center in Newark, New Jersey during the renovation. 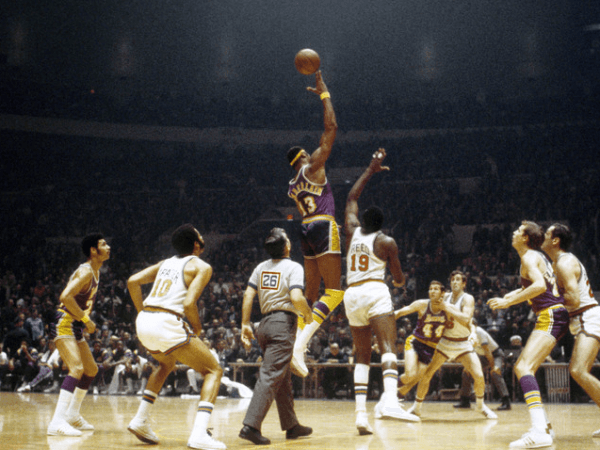 The 1970 NBA World Championship Series the championship round of the 1970 NBA Playoffs, which concluded the National Basketball Association 1969 – 1970 season. The Eastern Conference champion New York Knicks faced the Western Conference champion Los Angeles Lakers in a best-of-seven series that the Knicks won 4 games to 3 for their first NBA title. 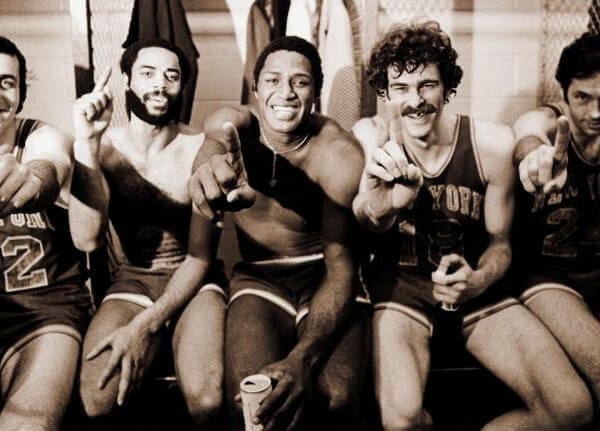 The 1973 NBA World Championship Series pitted the New York Knicks of the Eastern Conference against the Los Angeles Lakers of the Western Conference for the NBA championship. The series was an exact reversal of the prior year, with the Lakers winning Game 1 and the Knicks taking the next four games. 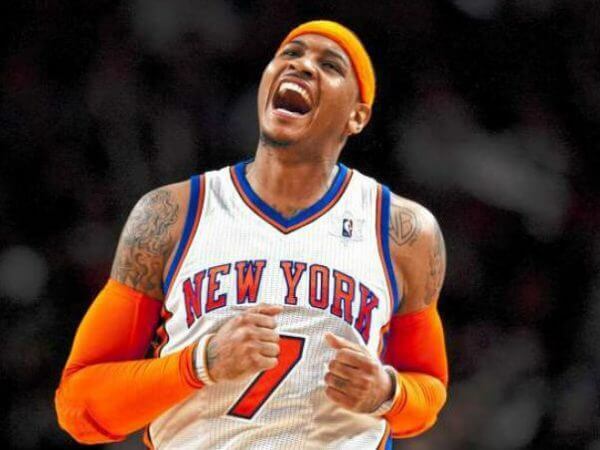 In spite of the team’s mounting success, New York made a push to acquire Denver Nuggets forward Carmelo Anthony. After months of speculation, on February 22, 2011, Anthony was traded to New York, with teammates Chauncey Billups, Shelden Williams, Anthony Carter, and former Knick Renaldo Balkman. Denver acquired Felton, Danilo Gallinari, Wilson Chandler, Mozgov, Kosta Koufos, a 2014 first-round draft pick, the Warriors’ second-round draft picks for 2013 and 2014 and $3 million in cash. Knickerbockers – The term “Knickerbockers” referred specifically to pants rolled up just below the knee by Dutch settlers in the New World during the 1600s. Many of these settlers found homes in and around New York City, where a cartoon drawing of Father Knickerbocker became a prominent symbol of the city. In 1845, baseball’s first organized team was nicknamed the Knickerbocker Nine and the name was evoked again in 1946 when New York was granted a franchise in the Basketball Association of America. Team founder Ned Irish reportedly made the decision to call the team the Knickerbockers. Who is the greatest New York Knicks? The New York Knickerbockers, commonly referred to as the Knicks, are an American professional basketball team based in New York City.